We regularly accommodate skiing groups of all sizes from 6 to 60 people, and pride ourselves on the attentive, professional and flexible approach we have to helping you organise your group ski holiday. Each of our ski resorts is suitable for a wide range of skiing abilities; the hotels offer a choice of room types, and we have the capacity to easily accommodate groups throughout the season. Our inclusive packages make it easy for groups – and everything you need is included within your holiday package or arranged for you in advance. All you need to do is get flights to Geneva, and we will take care of the rest! With all of our Ski Weekends and Ski Midweek holidays, airport transfers, half-board or catered-chalet accommodation and your full region lift pass are included as standard. In addition we also have the ski hire, ski lessons and all other extras that you might need covered. Our ski resorts of the Northern French Alps are all chosen to offer quick airport transfers – and many are located just an hour or so from Geneva airport. Perhaps the biggest challenge of organising a group is finding the right accommodation, and getting everyone to agree and commit. We are fully used to this and our aim is to support you as group organiser, doing our best to make the process as hassle-free for you as we can. To this end – our reservations team are able to advise of which accommodation will be most suitable – they are able to put rooms on hold while you look at travel options, confirm your group size etc. and are there to answer all your questions! Following on, we offer our own Guest Management System, which means group members can enter all their details online, and you as organiser do not have to chase them up. We also offer flexible options for payment online, and so again you as organiser do not have to collect the money on their behalf. We aim for flexibility as well as convenience – and so for example you don’t all have to travel together, which means being in different parts of the country isn’t a problem. Nor is a mixed group, or one that includes absolute beginners – we will simply arrange lessons for the first timers, and mountain guides for the most keen skiers. If you have a group and are looking for something a little different – then please contact us. Groups may visit us to celebrate special weekends (big Birthdays or Anniversaries), or it could just be a chance to catch up with long-lost friends and share some amazing experiences in the mountains. 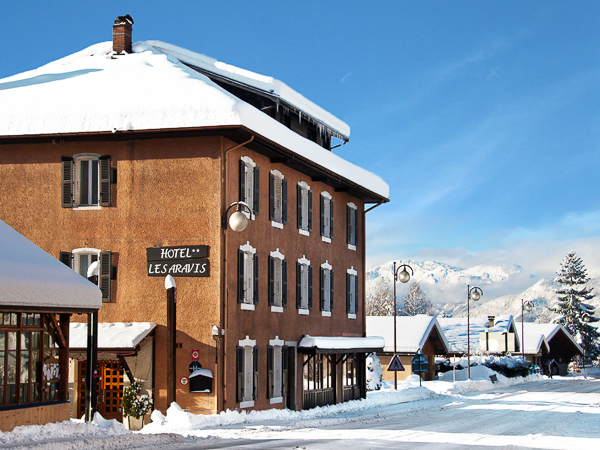 For larger groups (typically 20+), we offer a further choice of hotels ranging from 3 star to 5 star in central La Clusaz locations. 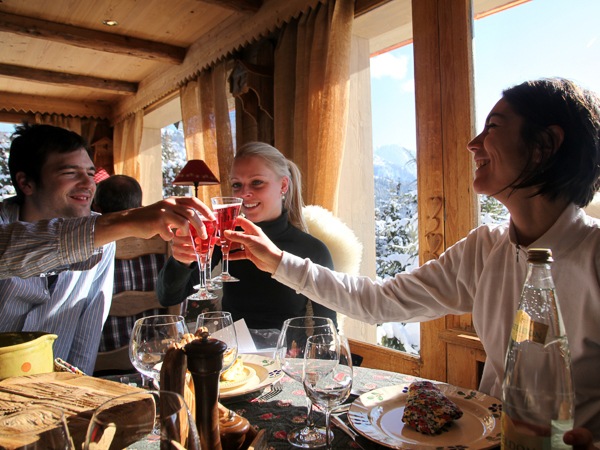 For the ultimate group trip – how about taking our chalet hotel for your own exclusive use? You will need to get in early, but we are able to offer sole use of our hotel for weekend or midweek groups of any size – perfect for a big party or celebration. Prices available on request or at standard rates for groups of 45 people+. 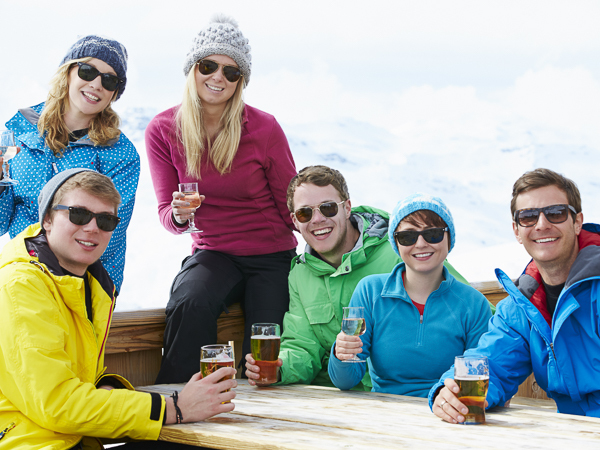 Planning a Group Ski Trip?